Innovation is not exclusively reserved for Steve Jobs, Picasso or Mozart. Rather, every person can be innovative if he or she is allowed, willing and capable. A strong innovation culture can be shaped through concrete practices. It has tangible results: higher innovation rates, higher employee satisfaction and higher company growth and profits. 66 cultural practices are compiled in the St.Gallen Innovation Culture Navigator and serve as inspiration to kick-off your innovation culture . 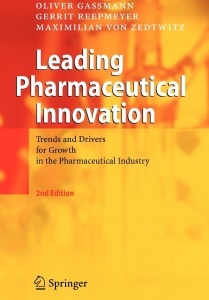 This book investigates and highlights the most critical challenges the pharmaceutical industry faces in an increasingly competitive environment of inflationary R&D investments and tightening cost control pressure. A strong business model is the bedrock to business success. But all too often we fail to adapt, clinging to outdated models that are no longer delivering the results we need. 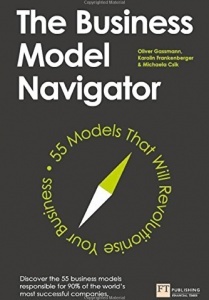 The brains behind The Business Model Navigator have discovered that just 55 business models are responsible for 90% of the world’s most successful businesses. These 55 models – from the Add-On model used by Ryanair to the Subscription model used by Spotify – provide the blueprints you need to revolutionise your business and drive powerful change. As well as providing a practical framework for adapting and innovating your business model, this book also includes each of the 55 models in a quick-read format. 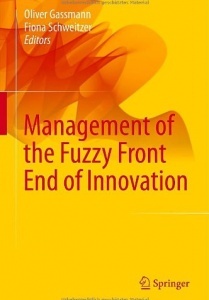 This book shows the patterns of the fuzzy front end of innovation and how it can be managed successfully. 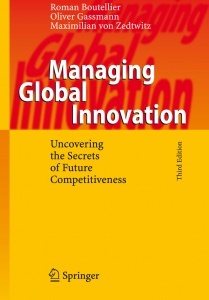 Topics in this book cover traditional instruments and processes such as technology monitoring, market-oriented research management, lead-user developments, but also modern approaches such as frontloading, user community-driven innovation, crowdsourcing, anthropological expeditions, technological listening posts in global R&D settings, cross-industry innovation processes, open innovation, and IP cycle management. Contributions are based on latest research and cases studies on this new paradigm. Pharmaceutical giants have doubled their investments in drug development in the past decade only to see new drug approvals remain constant. 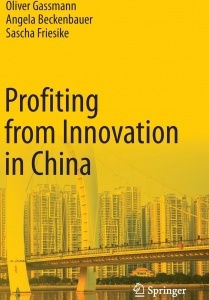 This book investigates and highlights a set of proactive strategies aimed at generating sustainable competitive advantage based on value-generating business practices. We focus on three sources of pharmaceutical innovation: new management methods in the drug development pipeline, new technologies as enablers for cutting-edge R&D, and new forms of cooperation and internationalization, such as open innovation in the early phases of R&D. Our findings are illustrated by cases from Europe, the US, and Asia. 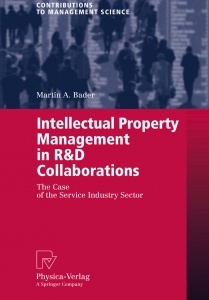 This work examines the current, relevant and complex problem of how companies can take an intellectual property lead within research and development collaborations. Special emphasis is placed on the early phases of the innovation process and the service industry sector in which intellectual property management is still a new phenomenon. The author derives archetypes for managing intellectual property in collaborations and analyses their strengths and weaknesses. The findings of the book are based on a series of interviews with companies in a variety of industries and regions, as well as on a detailed examination of the service companies IBM, SAP, Swisscom and SwissRe. The author offers organizational and managerial recommendations based both on his extensive industry background and on scientifically induced hypotheses, and has thus written a book of interest to both scientists and practitioners.